Your mum will love these DIY gift ideas that are beautiful, useful, and most importantly, easy to make! Looking for a thoughtful gift for mum this Mother’s Day? Although there is no gift big or small that could truly convey our appreciation for the most important woman in our life, sometimes creating a handmade keepsake she can treasure for years to come is the best way to go. Your mum is sure to love these DIY gift ideas that are beautiful, useful, and most importantly, easy to make! If your mum loves to put on a good feast, then she will definitely appreciate this mason jar herb garden! This DIY project takes only a few items to get started and will be done and dusted within a single afternoon. Here are a list of 10 easy to grow herb plants to get you started. Mums are known to put everyone’s needs before their own, so tell your mum to cut it out with a selection of body care goodies! You can make the box as big or as small as you like, and you probably already have a spare box floating around that can be covered with pretty wrapping paper. Giving mum a mug on Mother’s Day is always a safe bet. 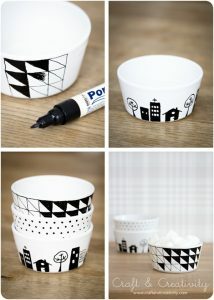 Take a simple mug to the next level by hand painting it yourself. If you’re handy with a brush you can create some very unique and stylish mugs your mum will treasure for years to come. Choosing the right fragrance for your homeÂ can be tricky with the amount of products available. By combining fresh flowers from the garden, essential oils and filtered water in a spray bottle you can create Mum a home scent she’ll love. This is a project even the kids can do! There’s no need to spend a fortune on expensive skin care products this Mother’s Day. 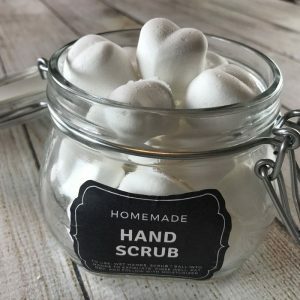 Make a generous batch of exfoliating hand scrub using ingredients that you probably already have sitting in your kitchen pantry. 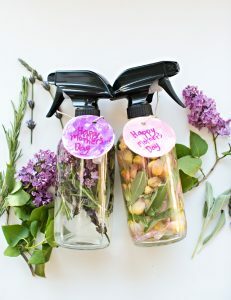 Popping the end result in a nicely decorated air-tight jar means she can keep them on display and at hand in the kitchen or laundry to use when needed. Whip out that sewing machine, because these hot and cold packs are a great idea for mum. Over the years your mum has probably acquired a few aches and pains that weren’t there before! 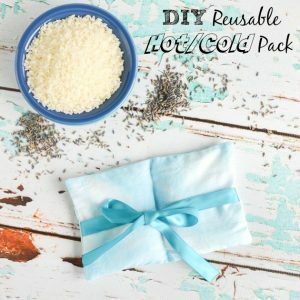 An effective natural remedy such as applying a hot or cold pack is great, and these ones are made using rice and fabric. Knot cushions are trending right now, so get mum on board by making one to suit her existing decor! Try experimenting with fabrics like velvet for a luxe finish. 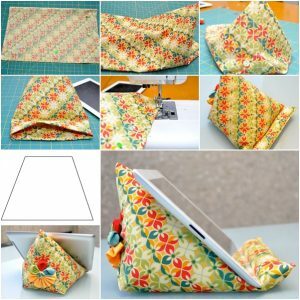 Keep mum’s hands free when using her iPad with this cushion tablet stand! This is a great idea for mums who regularly watch movies on their tablet, or like to follow a recipe on their iPad in the kitchen. This design also has a handy side pocket so she’ll never need to wonder where her glasses are again! Putting together a flower arrangement is a simple and easy gift idea for mum. 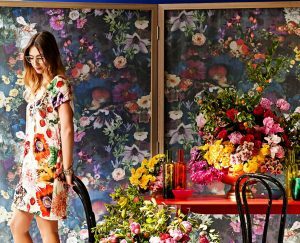 Learn how to create a stunning flower arrangement with advice from the experts.